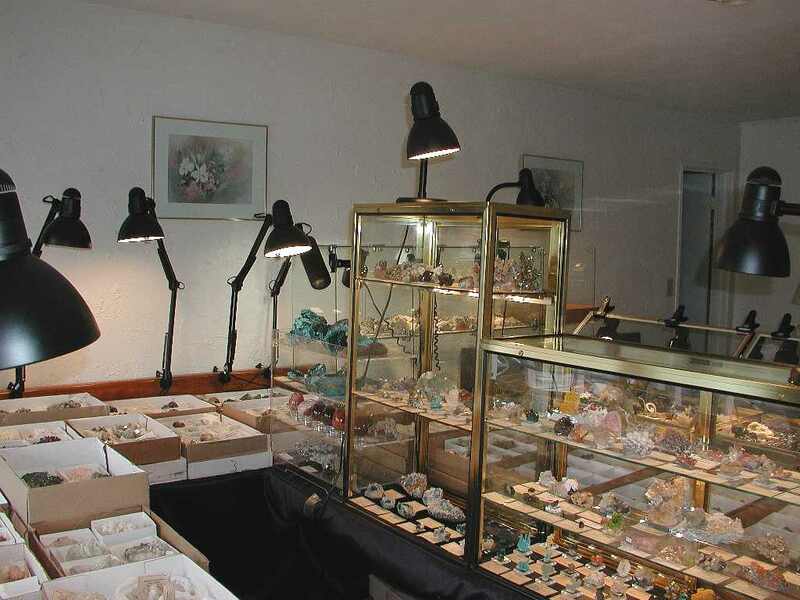 Here are two displays with some of our high end minerals. Also, you can see some malachite and chrysocolla specimens from Congo and carnelian eggs in the far left. 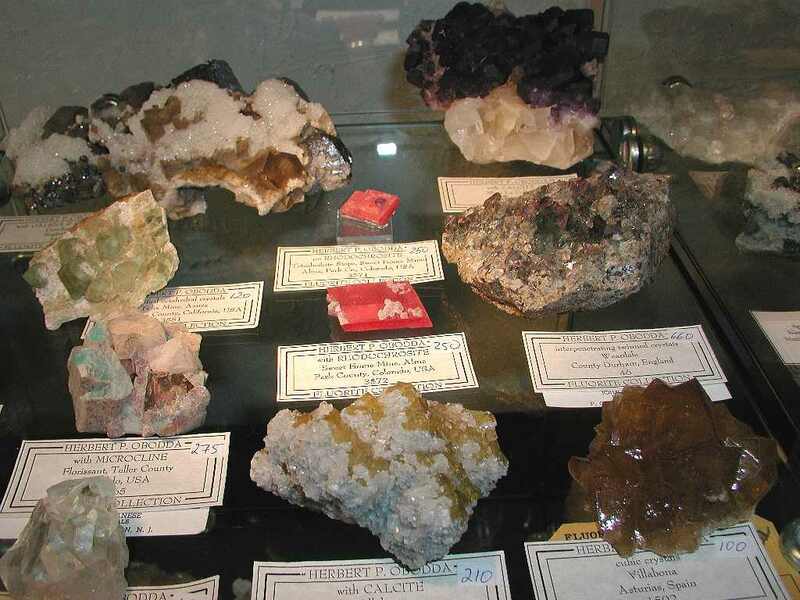 These are some of the specimens from the Herb Obodda Fluorite Collection. Awesome!.